A fantastic book and brilliant sequel, I had no clue where the story would go following a new set of characters (that I have grown to love, particularly Silas who needs a damn hug) but I knew it would be an epic journey and I wasn’t disappointed. As always Melinda painted a beautiful tale filled with rich settings, vivid characters and astonishing secrets; add in lots of murder, angst and a villain who’s just too good (in that evil way) and hey presto! I have a new favourite book of 2016. 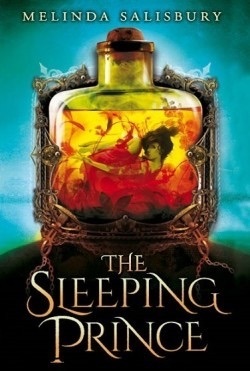 I couldn’t get enough of The Sleeping Prince (book & character) because he’s twisted in all the ways that make him fascinating. His lore helped The Sin Eater’s Daughter make so much sense and when the two collided as new friendships formed there was no going back. One thing is for sure, I am desperate for the final instalment and by desperate I mean I WANT IT IN MY HANDS SOON ELSE I DON’T KNOW WHAT TO DO FOR HOWEVER MANY MONTHS! Merek is alive! *happy dance* My never ending denial obviously wished him into being, or I have to thank Melinda for not being so cruel as to take him away from me, I’m sorry his kingdom… Lief on the other hand would look lovely with his head on a spike. Joking! Kind of. Okay I’m not. He has betrayed my favourites one too many times.